Dr. Sanders is Chair of the Department of Apparel, Events, and Hospitality Management and Donna R. Danielson Professor in Textiles and Clothing at Iowa State University. 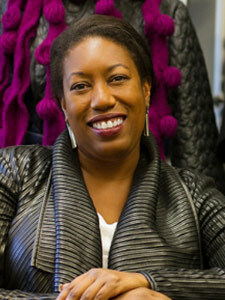 Among her areas of teaching and research/creative scholarship are apparel design & production, CAD & patternmaking, social psychological aspects of African American appearance, knitwear production, historic reproductions and material reuse. In 2009 she launched Yo-San Studio LLC where she serves as Design Director for her signature collections of wearable art textiles. Dr. Sanders has exhibited her design work widely at the International Textiles and Apparel Association annual conference.